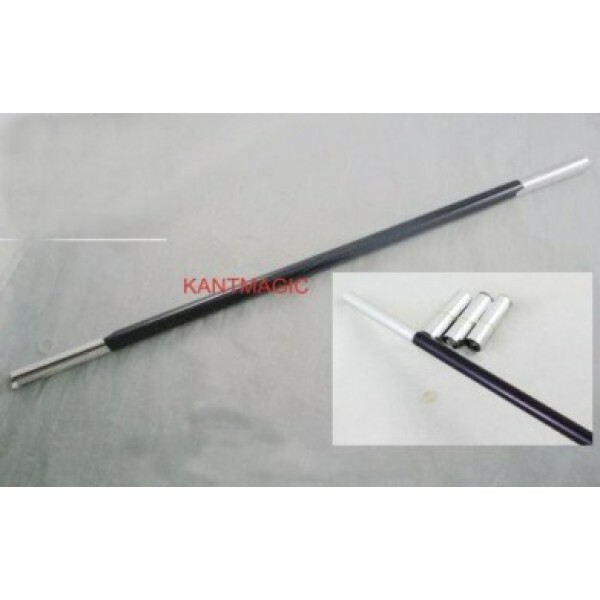 Appearing Wand - Black Pl. Children's performers could even give one away to the birthday child New,Innovative,exciting,unique and truly magical: As a trick itself they can be used again and again. ideal give away for parties and shows, birthdays, holidays or any event. Perfect as give aways at parties or events. Easy to use they fit in palm of your hand simply by removing the holding ring and letting go the wand magically appear right before your eyes. The wand can be used again and again. Perfect as give away at parties, birthdays or events. 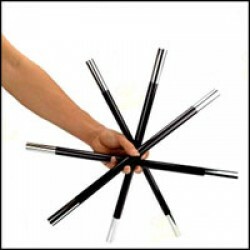 Easy to use, they fit in the palm of your hand simply by removing the holding ring and letting go the wand magically appear right before your eyes. Open to a 20" wand, black with silver tips.